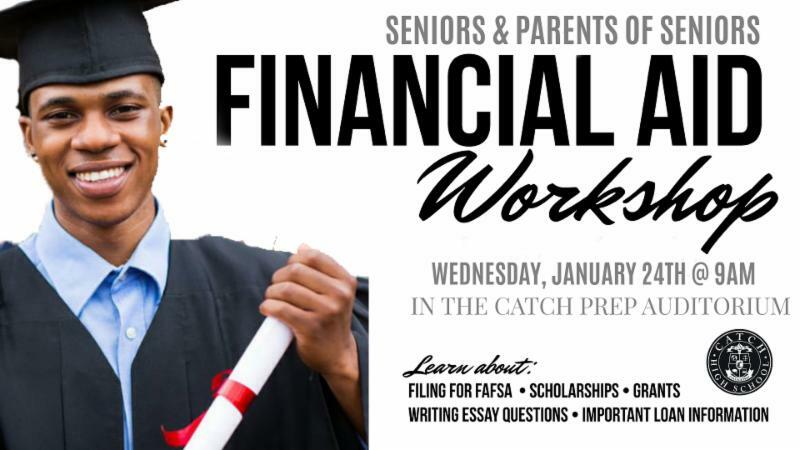 The workshop will last all morning, and the expectation is that you will leave with a complete FAFSA Form for your child to received Financial Aid in college. Please remember, without filling out a FAFSA Form, families are expected to pay for college on their won (which can cost upwards of $50,000/year). *This workshop is for students planning to attend ANY SCHOOL next year, including Community College, Trade School, and 4-Year Universitites.